First, it’s FREE. 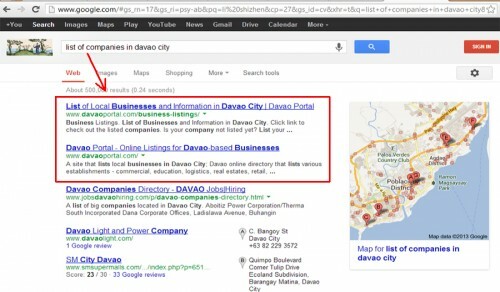 As you might (or might not) be aware of, not all business directories on the Internet are offering free listing and there are just few business directory sites that are targeted to Davao prospects. That means, listing to Davao portal provides you an avenue for your business to reach audiences in a wider scope yet targeted to your prospects. So, you might want to take advantage of this opportunity – without spending a cent. 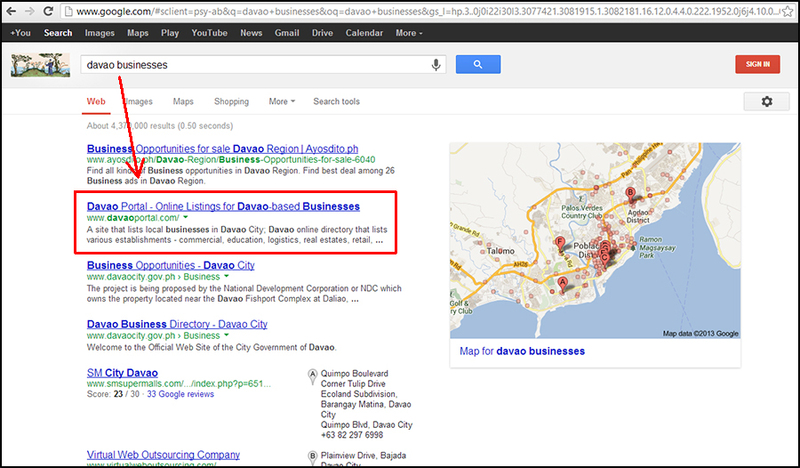 Search engine results page taken on July 3 shows that Davao Portal is on the first page (rank 2) for the keywords “davao businesses,” which is a key phrase being used by people who are looking for businesses in Davao. 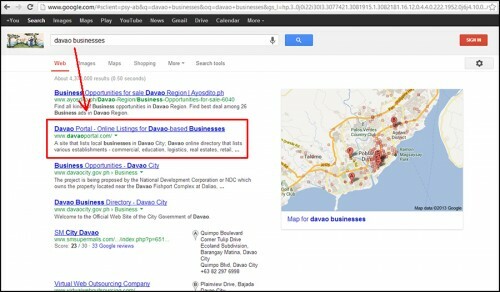 Another keywords that has made Davao Portal on top of the Google SERPs (Google is the most used search engine today) is “list of companies in davao city”. 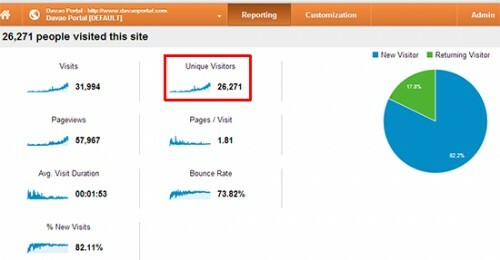 Davao Portal, launched in July 2012 (and yes, will be celebrating its first anniversary this month), is now attracting thousands of people per month (unique visitors); they are website visitors who are coming from different parts of the globe. This trend is expected to continue as more and more people are turning their heads back to the city, seeing it as a promising haven for business and investments. This trend also means that the Davao Portal Team will (and shall) continue to work to help businesses in Davao get more visibility through digital media. In less than a year, Davao Portal has generated 30,ooo visitors and the upward trend is expected to continue for more months to come. Where the visits are actually coming? 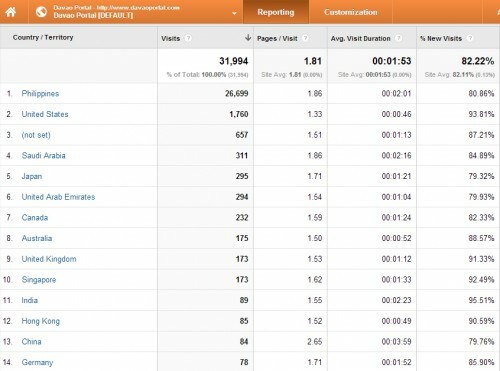 The above image shows the top 14 countries where Davao Portal’s visitors are coming from. You can see that the Philippines tops the list and then followed by the U.S. at number 2. Based on the data collected by our analytics, Davao Portal shows positive growth since the beginning and this trend is expected to continue in the coming months and years. By the end of this year (in Dec), the site could have a monthly visit of 20 to 25 thousand people . Lastly, the people behind Davao Portal are all Davaoeños and are Davao-based; this means they have the heart for Davao. This also means that they can be reached anytime when you want to meet them in person for any project collaborations, request for business reviews, and other projects that matter to people as long as you are in Davao.